A mate of mine, Bear, is slowly venturing into the world of video after learning the ropes on the still side of photography. Capitalizing on the recent stormy weather over here in the UK, he and his son headed over to the coastal town of Blackpool to document precedings. I think you’ll agree he’s managed to capture some pretty cool footage, and the inspired choice of using a classic Aphex Twin track for the score really adds something special. I stupidly passed on these when they dropped around 2006 so I was ecstatic when my good buddy Glen offered me a deadstock pair in my size. The leather is unbelievable and the orange pops like a mo fo. Crepe City 8 – BOOKED!!! I’ve just booked a table for Crepe City. If you’re a UK7, 7.5 or 8, come down and see if I have anything you might want to pick up….or just say hi. 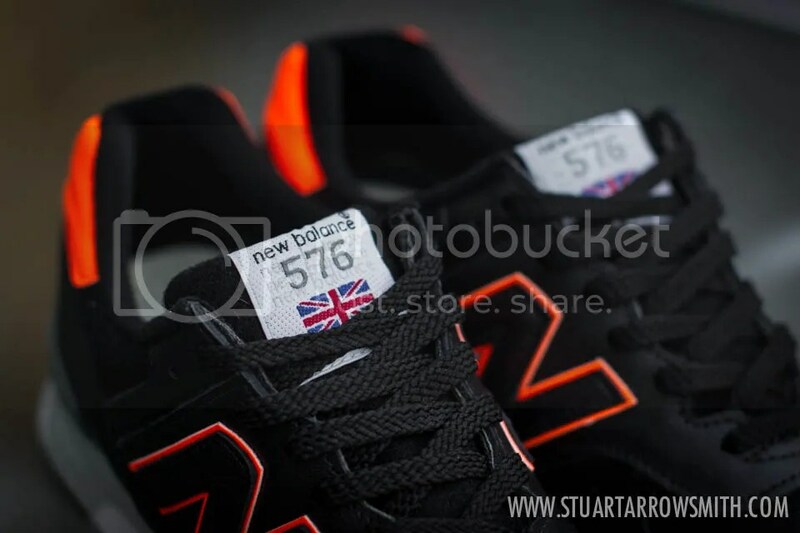 Widely regarded for their superior quality of materials and workmanship, you could do much worse than pick up an offering from the legendary New Balance facility in Flimby. This M576WMW offering doesn’t disappoint…offering a fantastic colourway and featuring plush moss green suede, and is one that I couldn’t let pass me by. A fine example of how some women’s releases are better than their male counterparts. This shoe (from around 2007 I think) featured the more angular women’s 576 profile as well as some vivid premo suede. I’m glad to say I know have both the red as well as this, orange version. As a follow on to the previous post, Plan B’s latest is a heavy hitter and well worth a listen. Plan B speaking from the heart and spreading some love for the much disparaged English ‘Yoof’. Deep stuff.